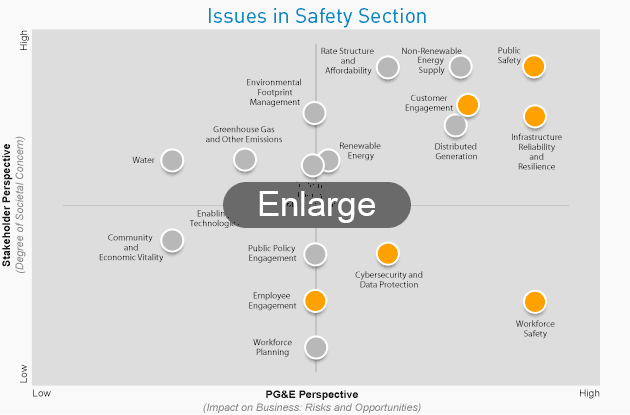 At PG&E, nothing is more important than public and workforce safety. Our safety commitment—to the public, our employees and our contractors—is the driving force behind our efforts to create a culture where safety comes before all else and is deeply ingrained into our operating strategies. Today, five years after the tragic gas pipeline rupture in San Bruno, California, PG&E remains focused on strengthening our approach to safety. We’ve made substantial strides in upgrading our systems and work processes, increasing coordination with emergency officials and adopting a stronger governance structure to further embed safety in our operations. 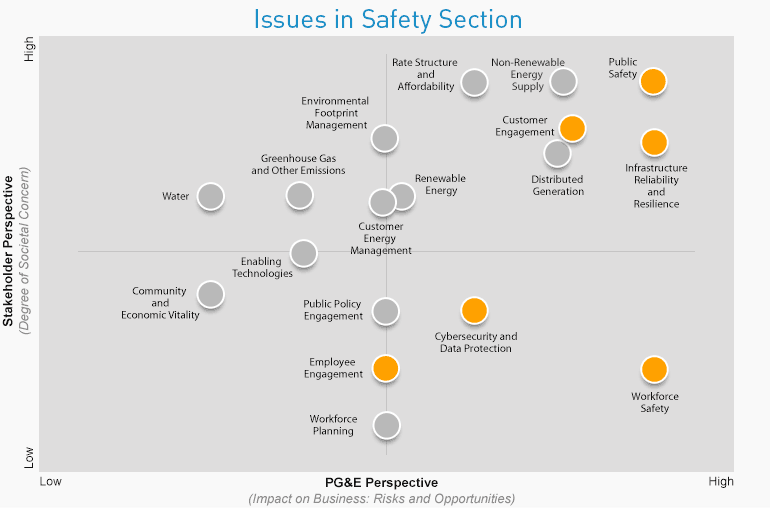 We remain focused on institutionalizing the lessons we’ve learned to make safety an essential part of our culture as we work toward our long-term goal of operating the safest, most reliable utility in the nation. Maintained a publicly available dashboard of public safety metrics across our operating lines of business. Completed mandatory Safety Leadership Workshops—attended by more than 5,000 employees—to align our leaders around PG&E’s safety strategy and equip them with the tools they need to support their teams in building a safety-first climate. Hosted more than 500 training workshops to better prepare firefighters, police, public works officials and other authorities to respond to emergencies involving electricity and natural gas. Partnered with local Fire Safe Councils on fire prevention efforts during California’s wildfire season. Aided customers impacted by the Napa earthquake, mobilizing crews to safely restore electricity in just over 24 hours and using state-of-the-art leak detection vehicles to check for gas leaks. Conducted more than 2,100 interactive electric and gas safety demonstrations for students, youth groups, contractors, emergency personnel and customers throughout our service area. Implemented a contractor safety program to ensure our commitment to public and workplace safety extends to anyone performing work for PG&E.